The only way for believing families to heed this pastoral counsel is by resolving to trust in God’s sovereign hand. How easy it is to fall prey to a greedy, grasping tendency we all have when we are left to ourselves. An alternate path is to rest and trust in God’s sovereignty – He is the blessed controller of all things and, if He is in control, we don’t have to be. If we have a life-giving relationship with the Lord of heaven and earth, do we really need more of this material world and all of its stuff? In Genesis 50, Joseph reminds himself of God’s sovereignty as he reflects on the evil done to him by his brothers. The center of their family has been taken away. Their father Jacob has died and all of his sons and their families, except Joseph, are in peril due to a great famine in the land. It would be tempting for Joseph to exact revenge at this time. However, he does the opposite. At least once a year, I read the booklet by Henri Nouwen entitled In the Name of Jesus: Reflections on Christian Leadership. He uses two key passages to unpack the nature of Christian leadership: Matthew 4:1-11 and John 21:15-21. In this book he discusses three temptations which all leaders face. Temptation 1: The Temptation to be relevant (to turn stones into bread) —more properly put—the temptation to be liked for our competencies. Jesus’ temptation was to turn stones into bread to prove something—we are tempted to put our competencies on display for others to see and be admired. How often we all are tempted to do or say things in order to be liked. The gospel cure for this idol of people pleasing is to be rooted in the Love of Christ so that you experience the security of His love when the temptation comes to live for the approval of others. How important it is for us to spend time with our Savior—not because we need to teach a class or prepare to preach a sermon but for no other reason than we NEED HIM! The antidote to counter this temptation is: Contemplative Prayer. The purpose here is to keep us from being pulled from one urgent issue to another and from becoming strangers to our own and God’s heart. (pp.28-29). Christian leaders cannot simply be persons who have well-informed opinions about the burning issues of our time. Their leadership must be rooted in the permanent, intimate relationship with the incarnate Word, Jesus, and they need to find there the source for their words, advice, and guidance. Through the discipline of contemplative prayer, Christian leaders have to learn to listen again and again to the voice of love and to find there the wisdom and courage to address whatever issue presents itself to them. Dealing with burning issues without being rooted in a deep personal relationship with God easily leads to divisiveness because, before we know it, our sense of self is caught up in our opinion about a given subject. But when we are securely rooted in personal intimacy with the source of life, it will be possible to remain flexible without being relativistic, convinced without being rigid, willing to confront without being offensive, gentle and forgiving without being soft, and true witnesses without being manipulative (pp.31-32). Temptation 2: The Temptation to be Spectacular—Jesus was invited to throw himself from the temple and let the angels come and rescue you. In the same way, we too are tempted to be GREAT! We can rely exclusively on the arm of flesh – our gifts, abilities, know-how, etc. But God in his mercy places us into a community. It’s a community where conflict, disappointment occur, but we must deliberately open our hearts and lives to others— to allow our fellow ministers, fellow leaders, and friends to help us so that we don’t isolate ourselves thinking that we must do it alone. Don’t be surprised when you experience this two-fold blessing: Where two or more are gathered, the living Christ is there with His empowering, comforting presence… but where two or more are gathered, conflict soon happens. What is the antidote to this need of ours to be great and feel important? The Discipline/Gospel Practice Needed: The antidote to counter this temptation is confession and forgiveness. This is the currency of the gospel in our relationships. This discipline keeps our ministries and lives communal and mutual. People desperately need this modeled—for many have never seen someone truly apologize and forgive from the heart. Thirdly, and lastly—the temptation to be Powerful and the need to resist our urge for control! The devil offered Jesus the keys of the kingdom if only he would bow down and worship him. Why is this temptation to be powerful so irresistible? Nouwen posits that power offers an easy substitute for doing the hard work of truly loving others. We find it easier to be God than to love God, easier to control people than to love people. Jesus asks us, “Do you love me” and we respond, “Can we sit at your right hand?” The challenge for Christian leaders is to love the people that the Lord brings across our ministry path and to allow them to know and love you as you work together to make much of Christ and His kingdom. The Discipline/Gospel Practice: The antidote to counter this temptation to power is theological reflection. This will allow us to begin to understand where we are being led (John 21). It is the characteristic of our Adamic residue to find it difficult to believe in the nobility of others. 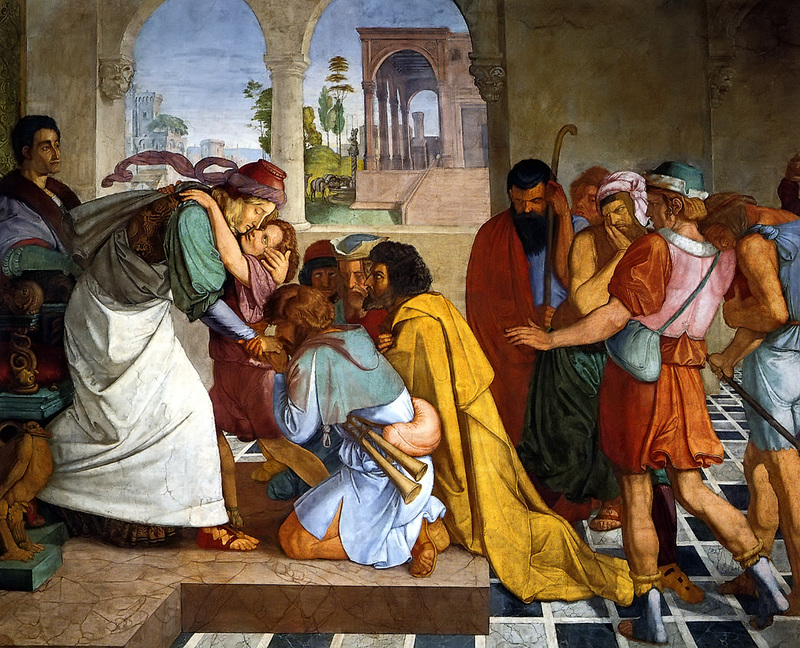 Joseph’s brothers measured Joseph by themselves. In our suspicions of other people we often reveal ourselves and our own hearts. Father, forgive us for the times that we have righted the wrongs committed against us. Forgive us for the times that we have repaid evil with evil and not evil with good. Thank you that there is One who into earth’s bitter waters of sin, injustice, hatred, and revenge poured a crimson flood to make them sweet. Never was any man more unjustly sinned against. The world Jesus loved drove nails into His hands and feet. Yet He prayed to you, “Father, forgive them.” Remind us Lord that we your servants are not above You, our Lord. Help us this day to experience your forgiveness as we repent of our sin. Then, empower us to forgive others the same way that you have forgiven us for our good and Your glory, AMEN.